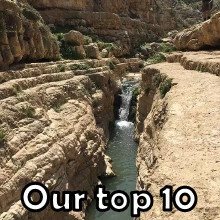 Top 10 Things To Do in Israel – Alternative list for Hikers & Nature lovers. We don’t argue that these are “must see” spots, but the hiker and nature lover will usually look for something more. 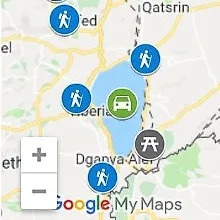 Therefore “Israel by Foot” created this list that will spice-up your Israel experience. The list includes some lesser known spots, along with unique angles on well knows. If you are a hiker, you probably know the feeling when the alpine trail reaches above the tree line how the view opens up. Well, in the desert you are all the time above the tree line with the dramatic views surrounding you. In between the high ridges we walk in deep colorful canyons. If you have not hiked a desert before, expect a truly unique experience. Jerusalem is an amazing city for any tourist. It has something for everyone: History, Archaeology, Arts, architecture, Night life, shopping and much more. But the fact that Jerusalem is also a great Hiking Hub comes as a big surprise to most people. While hiking is by no means the reason for visiting this great city, for a nature lover, to mix a day of hiking in between the city many attractions can be a great way to Spice-Up his visit. 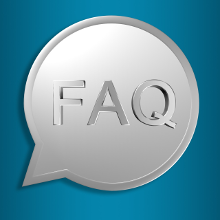 Jerusalem is located on the ridge of the Judean mountains that create a “Rain Shadow” effect. The result is a huge diversity of scenery and landscape within a radius of 50 Km around the city. The western slopes are characterized by steep slopes covered with an evergreen forest and many wild flowers during winter and spring. The area is also “dotted” with dozens of small springs. You can hike the classic “Spring Trail” which is located 15 minutes’ drive from the city. The eastern slopes mark the beginning of the Judean desert and are characterized by deep canyons that some of them have a flow of water all year round. The most famous of them is Wadi Kelt (Prat Stream). 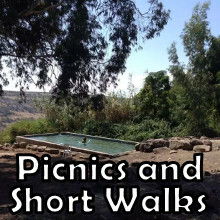 Which is one of the most popular and rewarding hikes around Jerusalem. 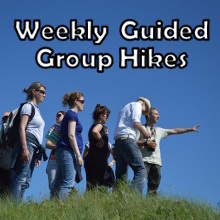 Join our Group Hike to Wadi Qelt!! As a tourist in Israel you don’t want to miss getting an awesome view on this famous lake. Choose any of the options that we provide varying from a stop at the right spot on the road, to a short hike and up to challenging hikes to Mount Arbel or Menachamiya. Join our Group Hike to Mount Arbel!! Masada is on the top of any shortlist and justly so. A truly remarkable site! The most lazy ones take the cable car. The most ambitious climb the “Snake Path” to watch the sunrise over the Dead-Sea. 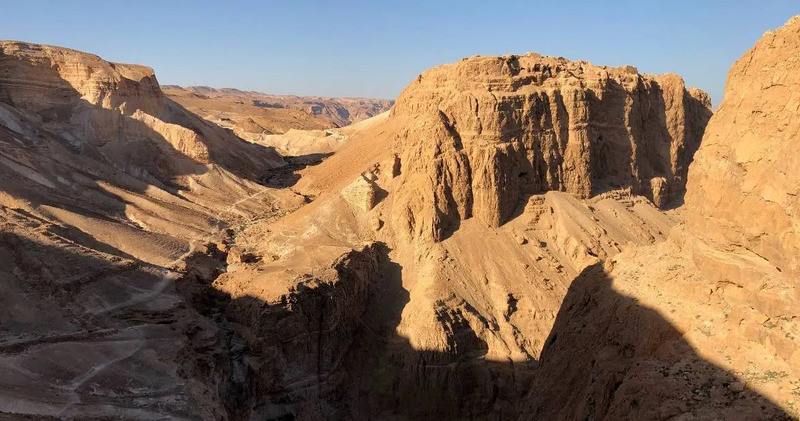 Check out our Ultimate Guide On all the different ways to get to the top of the Masada. However, if you are a hiker you can turn a “standard” visit to Masada into a memorable and unique Hiking experience. Climb up the mountain on the ancient “Runners” path, visit Masada, then get down via Elazar mountain. You will visit the ruins of several Roman siege camps and get amazing views of Masada from different angles. You will also enjoy true desert atmosphere away for the crowds. Makhtesh Ramon: It is the largest makhtesh in the world at over 40 km long, 10 km wide and about 400 m deep. Makhtesh Hatira (called also the “Big” Makhtesh) is the 2nd in size. 14 km long, 6 km wide and about 400 m deep. Makhtesh Hazera (called also the “Small” Makhtesh) is the 3rd in size. 7 km long, 5 km wide and over 500 m deep. Standing on the edge of the cliff and looking down on a Maktesh is a definite must for any nature lover! 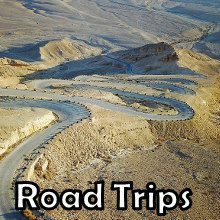 “Makhteshim Land Road trip” that is a mix of dramatic scenic driving along with short hikes at The “Small” and “Big” Makhtesh. The Classic hike to the top of mount Ardon in Makhtesh Ramon. The Ramon Crater road trip that brings you to amazing sites and view-points spiced up up with some Short Hikes. 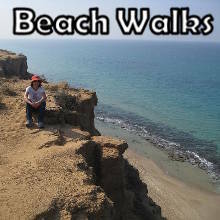 You can find a list of the “best beaches in Israel” on many websites. As you come to expect from “Israel by Foot”, our angle is different. 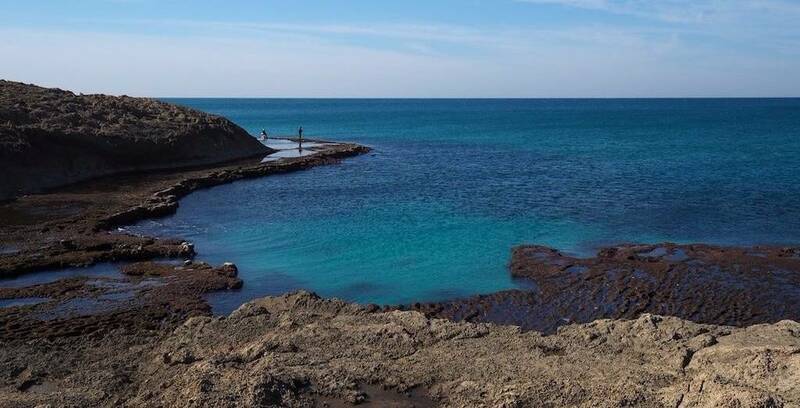 We give you the best beaches in Israel that are also a natural gem. You will not find a Bar or Beach beds for hire. But you will find magical picnic spots and scenic beach strips, perfect for a sunset walk. Recommended period: September-November & March-April. 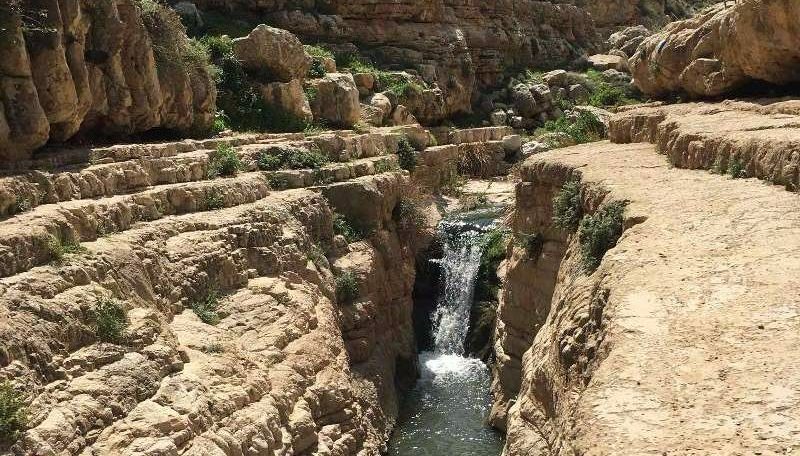 A “water” hike is a classic Israeli outing during the exhausting summer, and one of the best ways to enjoy a hike during this period. It means a hike that includes sections of wading & swimming inside a stream. Check out some of these “Classic” options. 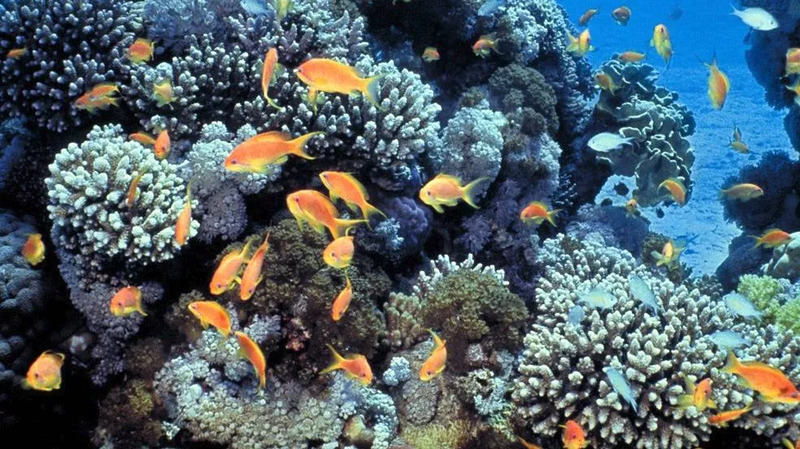 Located near Eilat in the Red sea, it is the northernmost coral reef of shallow water in the world, and the only coral reef in Israel. The colors and shapes of the fish, corals and other underwater creatures is overwhelming. And what makes it so attractive is that you don’t need to be a professional scuba diver. Just hire a snorkel and a diving mask and immerse yourself in the magic. We recommend to do it inside the Natural reserve for a few reasons. It is the biggest and most dense area. Snorkels & masks are available for hire. A very special feature of our landscape is the richness and variety of the flora. During late winter and early spring, Wildflowers bloom in a variety of shapes and colors that will amaze and overwhelm your senses. In spite of Israel’s tiny area, it has about 2500 species, compared with only 1500 species in the British Isles that are more than ten times larger in area. 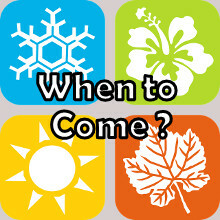 Check our Facebook page during the season for online updates on the best spots to go each week. Further reading on: Wildflowers in Israel. 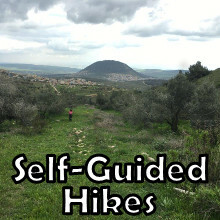 Check our Akev, Amud or Arbel hikes that include some great sections from the trail. Or go on a 6 days long Trek along the North section of the INT.